HOME / NEWS / EXILE TRIBE FAMILY FAN CLUB EVENT "TAKAHIRO Michi no Eki 2019" coming soon! 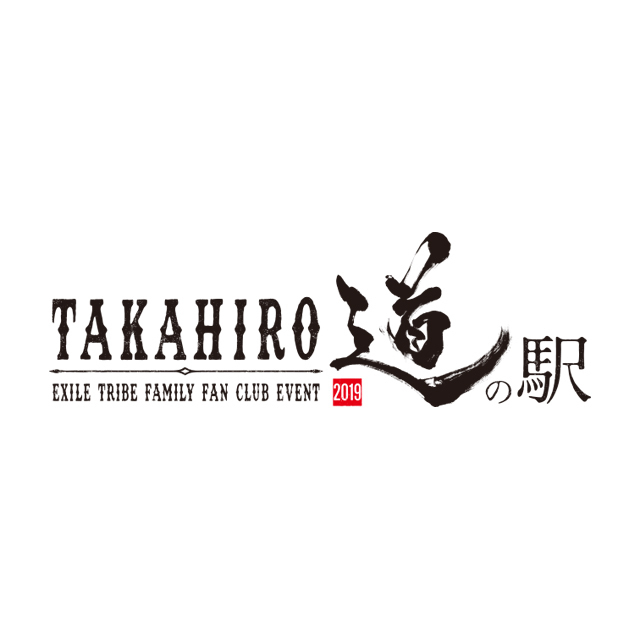 EXILE TRIBE FAMILY FAN CLUB EVENT "TAKAHIRO Michi no Eki 2019" coming soon! "TAKAHIRO Michi no Eki 2019"
In 2019, vocalist EXILE TAKAHIRO will take a big leap forward after EXILE's dome tour and ACE OF SPADES's first live tour. As a 【continuation】 of 22 shows of "TAKAHIRO Michi no Eki 2017-2018" held from 2017 to 2018, the fan club event "TAKAHIRO Michi no Eki 2019" will be held this year!! TAKAHIRO who carries out activities as a vocalist of EXILE, solo artist EXILE TAKAHIRO, a member of ACE OF SPADES and an actor looks forward to meeting fans who have been giving him warm support all along at more exciting live shows & public talks that he prepares with great efforts! "TAKAHIRO Michi no Eki 2019" will be launched in summer! Event details will be announced soon! Stick around for more info! !